If you're petite, you'll be happy to know that LOFT is shifting their focus to their PETITES boutique, where sizing starts at size 00 and XXS. 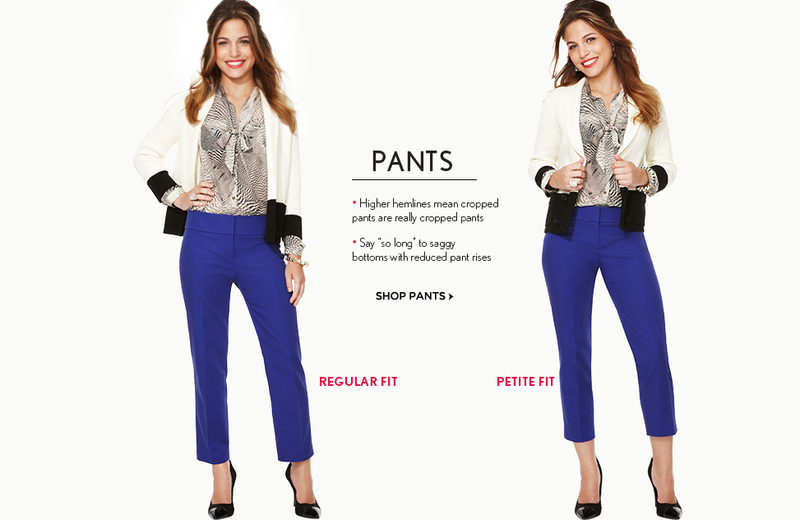 It looks like LOFT really took into consideration what silhouettes are flattering on petites, offering mini and pencil skirts to 3/4 sleeve blouses and skinny jeans with a 28" inseam. LOFT's new petite fit guide easily shows the difference between a regular fit and petite fit on Lauren, a 5'2" LOFT associate. 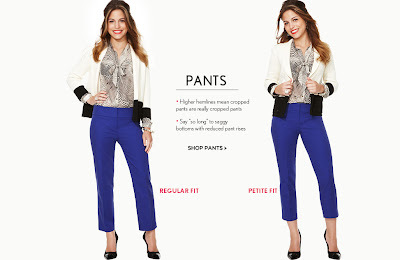 Tops, cardigans and blazers from LOFT have for the most part been easy for me to shop, but I've never been able to find a great fit with LOFT's pants, skirts or dresses. I'm hoping LOFT will start carrying tailor-free petite pieces that I can fit into, such as wrap dresses, tunics, mini dresses and maxi dresses that aren't sweeping the floor. 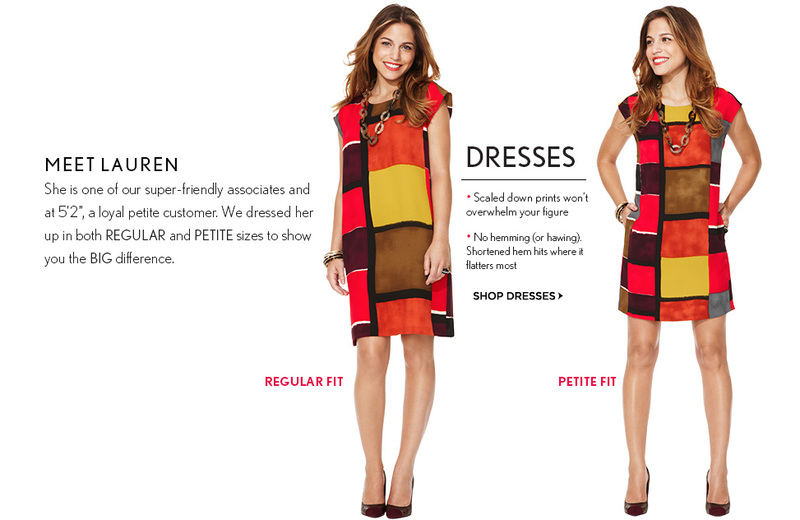 I'm curious to see how the Petite Seamed Pencil Skirt in LOFT Scuba would fit on me. I think I'm just going to have to order it and find out! 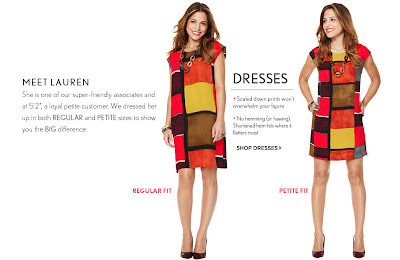 I look forward to seeing LOFT's continued focus on petites! 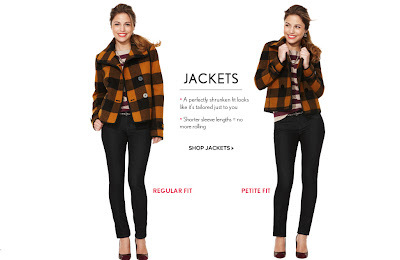 Check out LOFT's PETITES boutique at loft.com. Good to see a comparison. A lot of people don't really "get" that there's a difference, proportionately speaking.